I am happy to share we have gone live with our latest offering that is bringing in incredible results. The Art of Time Expansion is a revolutionary learning program for anyone who wants to enhance and maximize their time, productivity and life. The good thing is you can experience and benefit from this program anywhere in the world. I like countless others have benefited immensely from the teachings of this program. Time after all is the most valuable asset, and what you do with it decides your future. Will be happy to hear how you benefited and grew your career, finances, relationships, health and life from all the extra time you gained from the strategies shared in this program. Thanks for sharing this Yogesh....just bought it and it was really something I needed as I have always struggled with time. I have started and the principle of Time Expansion is something I never thought of before. Am sure it will help lots of people Yogesh! I had attended your live session on Time Expansion and loved it and have implemented many of the strategiees would I also benefit from this program? Quite a few interesting modules....thanks Yogesh! Thanks for the incredible feedback, emails and am happy the program is been of help. Tania, if you have implemented the strategies shared during our live training programs then you don't need this as what we have done here is got the best ideas and put them in a digital course. 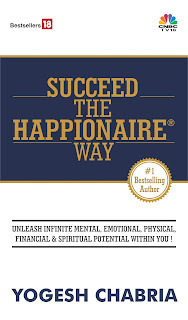 However, if you want to share the experience you enjoyed with a friend or loved one, you can gift this to them so they get a glimpse into the world of Happionaire! I completed the entire program and liked it a lot. I have started seeing the benfits of much more time in my life and is helping me. A great program and made has my travel time so productive!